Frances McDormand accepts the award for best performance by an actress in a leading role for "Three Billboards Outside Ebbing, Missouri" at the Oscars on Sunday, March 4, 2018, at the Dolby Theatre in Los Angeles. Towards the end of actress Frances McDormand's Academy Awards speech Sunday night, she asked women in the industry to stand up and to make contractual demands on film studios, NBC News reported. 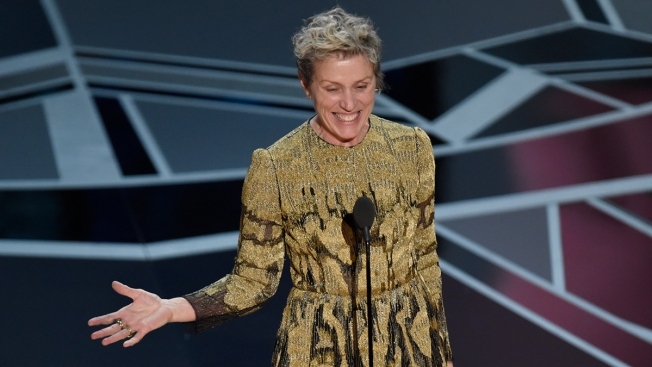 McDormand ended her speech with two words: "Inclusion rider." An inclusion rider refers to a star’s ability to put companies under clear, contractual obligations to hire more women and minorities. The concept is not new and celebrities have been able to add demands into their contracts. The Annenberg Inclusion Initiative, which has produced many reports on the lack of women and minorities in movies, tweeted an explanation of the phrase and its power, if actors were to demand change through their lawyers.